My friend Emily is moving back to Des Moines this month (yay for queso dates at On the Border!) and kicking off her new business, Hello Charlie. She's super talented at photography, graphic design and styling. One of her new product offerings is styled brand shoots, and Roo was lucky enough to be one of her first models. Em has a heart for small handmade businesses, and I would definitely recommend her work if you have a toddler clothing or accessory line. You'll get beautiful photos of your products on cute models (like Roo)! This brand shoot was for Malia's Threads. 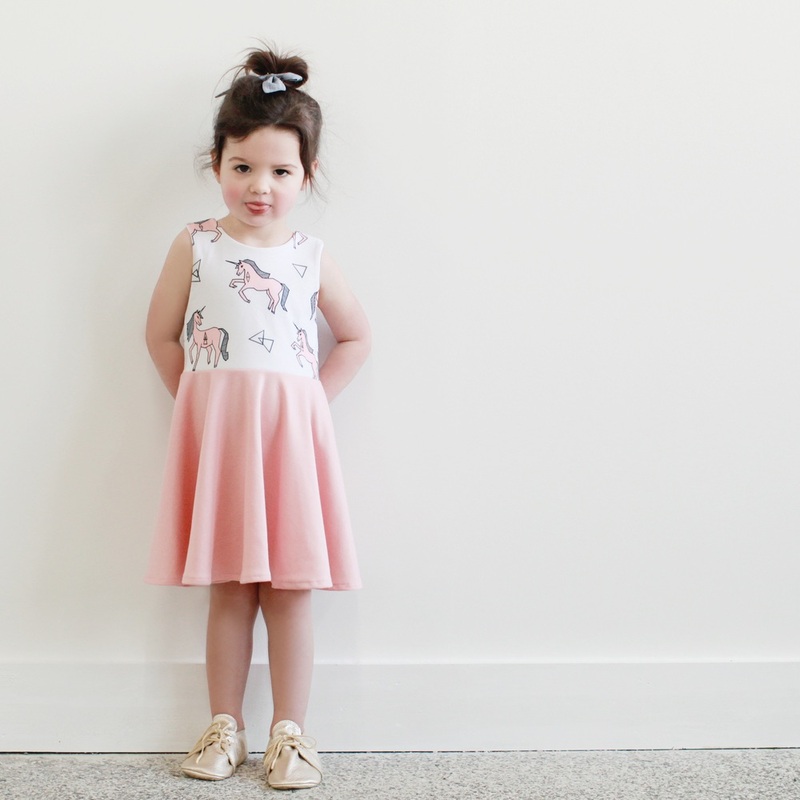 It's an Instagram shop with adorable dresses and shorties for kids. Rooney loved the unicorn dress she got to wear as well as the green Feather and Filly leather soft-soled shoes...she asked if she could get them for Christmas :-) So I am hoping to buy her a pair soon, as well as some of those cute shorties! Ugh, I can hardly stand how cute her legs are in them. They will be perfect for summer! Thanks for including us, Emily! We're excited to do it again next week!